Being widely known as a trusted and demolition contractor, Multi Demolition has a long list of demolition works in Malaysia & services provided comprising of building demolition, bridge demolition, power station demolition, building construction, building refurbishment, etc. 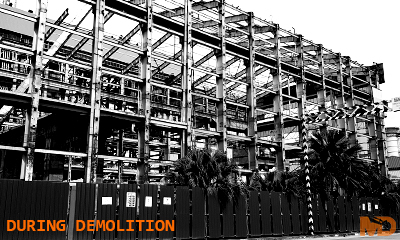 Specialised in demolition, our professionals always study on the position of the structure; comprehend what material it is made of; and understand the requirements of client prior to proposing the most appropriate way to demolish. In cases where controlled demolition is necessary, our personnel carefully execute every step so as our operation is not detrimental to the adjacent structures. 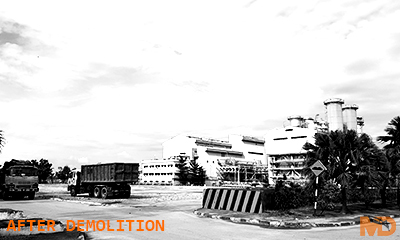 Controlled demolition may sound risky but we are certain to execute it with complete perfection. 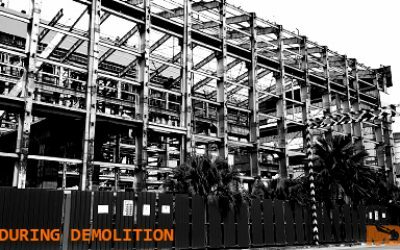 In a bid to minimise environmental pollution in the work of demolition, our team identify materials of the structure that can be reclaimed, recycled, or reused. We are playing our role to reduce the impact towards our ecology by meticulously plan on the way our demolition works in Malaysia. We are pleased to have completed a great deal of government projects as well as private ones. Our solid track record of excellent execution of building construction, building refurbishment, building demolition, and some other project types in the past has earned us positive reputations in the industry. 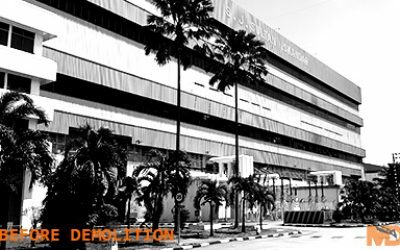 We always seek for improvement and aim to be the best earthwork and demolition contractor in Malaysia.